Has anyone done Wes Bos react for beginners course? Has anyone actually done his course? Go for it! I’ve taken his React course and I can sincerely say it’s one of the best materials you can find on the subject. I now feel comfortable with React and I’m using it for some client work in this moment. I haven’t done his react course ,but I completed his redux course. It did a pretty good job of teaching me the basics of redux. I’ve heard his React course is just as good. I am interested as well…at the moment, I have got “Modern React with Redux” at Udemy, and I was wondering how it stand against Wes Bos course (knowing that anyway his courses are great!). i can tell you, i have done both mcGinnis, wes bos, some free yt-stuff and the fcc-material. wes bos: not good. he throw some css-files at you so things look nice, and types in a bunch of code. doesnt explain a thing. waste of time. Thanks for the reviews guys, I will do the Tyler tutorial then afterwards if I judge necessary maybe i will do Wes Bos only because he makes a pretty cool web app and shows how to deploy it in various places. Thank you, I was agonizing over the same issue as op. I visited the wesbos site many times just coz i couldn’t make up my mind. Then I came to to the forum to ask for help and there you are. You solved my indecision. I will try the mcginnis one now. Thank you again. I’ve actually done his redux course because while I grasp react basic through FCC’s beta curriculum, I was still struggling with redux, and working through the project really did help me understand it better. However, since both react-router and react has gone through significant changes, I’ve pretty much had to code the whole thing using the new react syntax and react router, so that could be the most helpful thing. The beauty is that the thing I was trying to learn, redux, has not changed significantly, so the basic principle and logic still applies. Well after all i didn’t do WesBos course I actually went on to do first Tyler Mcginnis course which is for free. at last i did recently advanced react redux of Stephen which i must say was also pretty good. 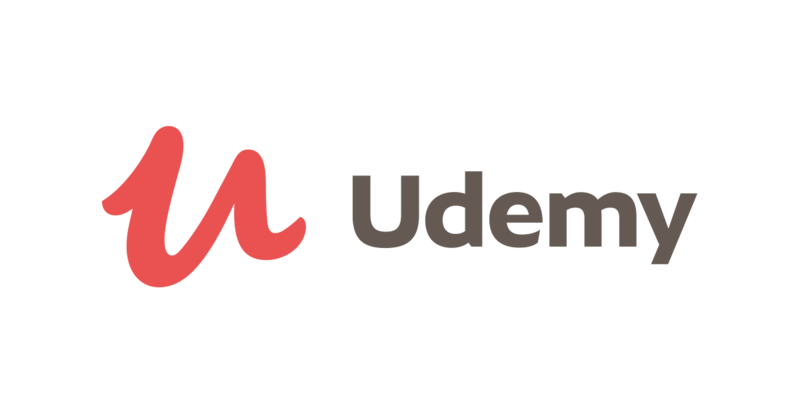 The first course you have done is missing on udemy. I couldnt find it. yea i noticed that Andrew Mead is updating this course and there is no date for release. but watch for it he is sure to release a very cool new one. I didn’t do this course but i did the advanced one which he also has and i would also recommend Stephen Grider’s basic introduction to Modern React + redux, he explains things really nicely. guys before any of you guys buy one of these courses search around google to get the discounts , I never pay more than 10 bucks for these courses. How was the course as I am thinking of taking that. How was that helpful? Whoa is possible to do after the course? Most of Wes Bos courses are decent but there is much better courses available on Udemy for a lot cheaper. I will post the courses below. Learn Node.js by building real-world applications with Node, Express, MongoDB, Mocha, and more! Build and deploy fullstack web apps with NodeJS, React, Redux, Express, and MongoDB. Only purchase Udemy courses while on sale for $10-15 USD. They go on sale 1-2 times a month for several days at a time. Also you can do a google search for “Udemy coupons” for sale codes. I would highly recommend these courses over Wes Bos’ over priced and short courses. Most of these courses listed are 20+ hour’s each with in depth information. Don’t fall for the hype of Wes Bos courses like I did. Picking a course on React can be a tricky decision, especially when there are a lot of courses on just Udemy, let alone elsewhere on the Internet. I personally bought Andrew Mead’s “The Complete React Web Developer Course” over Maximilian Schwarzmüller’s “React 16 - The Complete Guide” course for several reasons, which I’ll share below. First off, I too was attracted by Wes Bos’ courses, but I felt the prices were too high compared to the courses available on Udemy, which can often be had for just $10. It might be a bit too judgmental, but I generally prefer courses that are made by developers who have CS degrees and aren’t “self-taught” or have degrees in a different field. I find that the self-taught developers, or those who have degrees in other fields, either have holes in their knowledge at worst, or at best come at the material from an angle that doesn’t quite work for me. Of the three (Bos, Schwarzmüller, and Mead), only Mead has a CS degree, so that gave me some inclination to get his course instead. I’m sort of a stickler on video production quality, and while Schwarzmüller’s is by far the best, Mead’s is also right up there, while Bos’ is the most inferior due to stuttering video frames, and Bos doesn’t pay a whole lot of attention to his live video composition either. I also pay attention to the instructor responses to negative customer reviews, and Schwarzmüller’s responses to the negative reviews of his React course really turned me off to him. Then there’s Wes Bos, who has nothing but positive reviews on his website. Of course that’s great for press, but come on, really? Not a single review that’s at least a little bit critical, if not negative? I tossed out all consideration for Wes Bos’ course when I realized that his website is just full of marketing tactics, some of them smarmy (like crossing out the price and replacing with a lower one, to imply that you’re getting a discount), and he doesn’t even use React on his own website. Seriously, what’s up with that when he easily could? And between Mead and Schwarzmüller, I simply ended up gaining more confidence in Mead’s abilities and presentation on video, since I could see that he wasn’t stretching himself with a ton of courses on other subjects that he probably didn’t know as well as React (like Angular and Vue). Nothing against Schwarzmüller of course, I’m sure his React course is very good, but for me it simply ended up making the most sense to buy Mead’s course, because Schwarzmüller and Bos both ended up turning me off. And yes I did try Stephen Grider’s course, but I learned absolutely nothing from his approach and concluded that he can’t actually teach. Just because someone is a developer doesn’t mean they can teach, and unfortunately Grider was one of those cases for me. I also noticed this but a bit late since he already got some of my money while I was new to learning Web Development. I would recommend you get both Mead’s & Schwarzmuller’s React courses. I find that I learn something new from multiple courses on the same subject. They are only $10 and have a 30 day return policy. I haven’t taken either of these recommendations but these are the two I was considering when I was thinking about learning PHP. This next guy has too many good looking courses on PHP to list just one. I hope these are helpful for you. Wes Bos React Beginner Is not a really for beginners.It has limited exposure of the react concepts e.g He uses createRef() for forms but does not use states i.e controlled component.why used this.match.param ? suddenly using React packages for Firebase for persistant state. Most annoying is he used npm over yarn which is most annoying. If you import style.css it behaves unexpected and as you start adding component , you have to rollback original css. If you are really a beginner. I personally don’t recommend better you go with react docs first before this course.Try other free good youtube recourse. Definitely not beginner friendly.